Now you can use the Samsung Gear 360 Manager App with any of your non-Samsung devices like Sony, HTC, Huawei, etc. To control and manage your Samsung Gear 360 camera with any of your non-Samsung devices you can now use new port of the Gear 360 Manager app developed by a member of the XDA developers forum. The new port of the Gear 360 Manager app works with non-Samsung devices and even brings Forced 4K support to your Samsung Gear 360 camera. The new port of the Samsung Gear 360 manager works well with any of your non-Samsung device including Sony, HTC, Huawei smartphones etc. The new port of the Gear 360 Manager app removes the mode like ”Device lock” that make the port work with any non-Samsung devices. 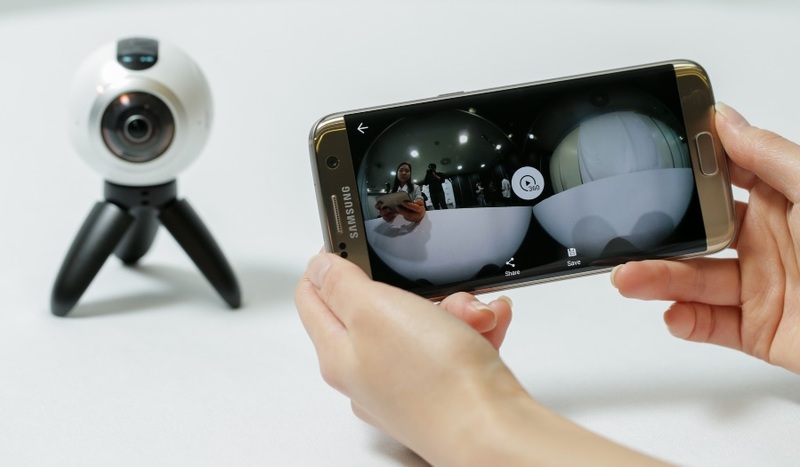 The port also bring Forced 4K video support that doesn’t downgrade the quality of the videos to 2k of your Samsung Gear 360 camera while using the Samsung Gear 360 manager app on your non-Samsung device. The port can be installed on devices running on Android 5.0 Lollipop or higher and must have the Samsung Accessory Service installed from the Play Store. For full details you can visit the forum page.